Nirenstein, Horowitz & Associates provides help in Windham County to individuals and families interested in estate planning, financial planning, nursing home planning and more. We also provide representation during the probate process and in situations where someone has become incapacitated and needs a guardian. We can help you to make Connecticut legal tools work to secure your future and we can provide the guidance that you need if your loved one has passed away. Windham County is a Connecticut County which is located in the north eastern part of the state. It is considered to be a part of the Worcester, MA-CT statistical area. It is the least populated county in all of Connecticut, with just over 118,400 people as of the most recent census. The area where the county is located has a long history, as it first caught the attention of the English back in 1635. However, because Windham County did not provide access to the shore, it was not settled until more than 50 years later. John Winthrop settled the land in October of 1671 and the area began to grow from there. Originally, the land where Windham County is now located was part of Hartford and New London Counties, but Windham County was created as a separate county back in 1726. Today, the entirety of Windham County has been designated by the National Park Service as a part of the Quinebaug and Shetucket Rivers Valley National Heritage Corridor. Windham County spans 521 square miles, and just 8.5 of those square miles are water. Windham County is served by Interstate 395, as well as Route 12, Route 169, and Route 44, among others. Route 169 is designated as a National Scenic Byway. Windham County, like all counties in Connecticut, doesn’t have county level government. Since 1960 when county level government was abolished, all government services have been provided by local municipalities or by the state of Connecticut. Windham County does have several small airports, including Windham Airport, which is located three miles from Willimantic. The area is also very well known for having many bicycle paths, including the Hop River State Park Trail and the Air Line State Park Trail. We serve the following cities in Windham County as well as all the surrounding communities. If you live in Windham County we can help you. For seniors in Windham County, the Eastern Connecticut Area Agency on Aging provides details on how to access senior services. There is information for Alzheimer’s patients, details on the older work program for seniors looking for jobs, and information for caregivers including details on how to find respite services for people taking care of elderly family members. Seniors can learn about housing options, as well as health and fitness options that allow them to maintain good health. Long-term care insurance information, nutrition information, and a list of programs benefiting Windham County seniors are also provided. With the local services available, hopefully many seniors can get the help that they need to stay healthy and independent for as long as possible. When seniors do develop health problems or they are no longer able to live on their own, Caring.com also lists many nursing homes in and around Windham County where seniors can find a place to get care. Seniors in Windham County may require assistance with planning for nursing home care if they require custodial care as they age. Neither private health insurance providers nor Medicare will pay for seniors to live in a nursing home if they need only routine daily care. Seniors can work with an elder law attorney to create a Medicaid plan so they can protect their assets while ensuring they are able to qualify for Medicaid coverage. People of all ages, not just seniors, can also benefit from working with an elder law and estate planning attorney to make financial plans, to explore ways to protect assets, and to create both an incapacity plan and a legacy plan. There are no guarantees in life, and someone could become incapacitated at any time, leaving his or her assets at risk and his family in a difficult situation if no plan is made in advance. People young and old also need to consider legacy planning, as you do not want to pass away without having made provisions to provide for your loved ones and ensure that your assets are used to accomplish your goals. 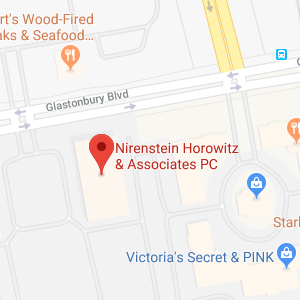 Nirenstein, Horowitz & Associates can help you to make use of the right legal tools that can help you with all of your estate planning and incapacity planning needs. We will help ensure that you make Connecticut laws work for you. For many, avoiding guardianship proceedings, probate, and other processes in probate court is a main goal of estate planning. There are, however, circumstances where going to probate court becomes necessary. If an estate must be probated or other legal matters must be handled in probate court, those who need their legal issues addressed will need to select the proper court location. In Windham County, those who have an issue which must be resolved in probate court will likely be in Probate District-28, the Windham probate district. According to its website, the Windham-Colchester Probate Court in Probate District 28 serves Windham, Colchester, Lebanon, Scotland, Chaplin, and Hampton. 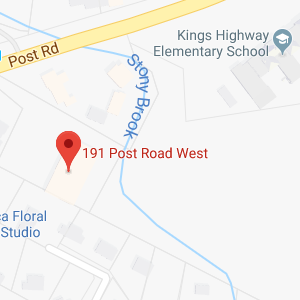 The court is located in the District of Windham-Colchester, and the address is 979 Main Street, P.O. Box 34, Willimantic, CT 06226. If you must go to court for any reason, it is beneficial to get help from an attorney familiar with the local court system. A Windham County elder law and estate planning attorney at Nirenstein, Horowitz & Associates can provide you with the help that you need to plan ahead for end-of-life issues and for creating your legacy. From nursing home planning to estate planning to financial planning and more, we are here to help. Give us a call at 860-548-1000 or contact us online to find out more about the different ways in which we can assist you.